Interesting things going on everywhere in aviation...except in the airlines. 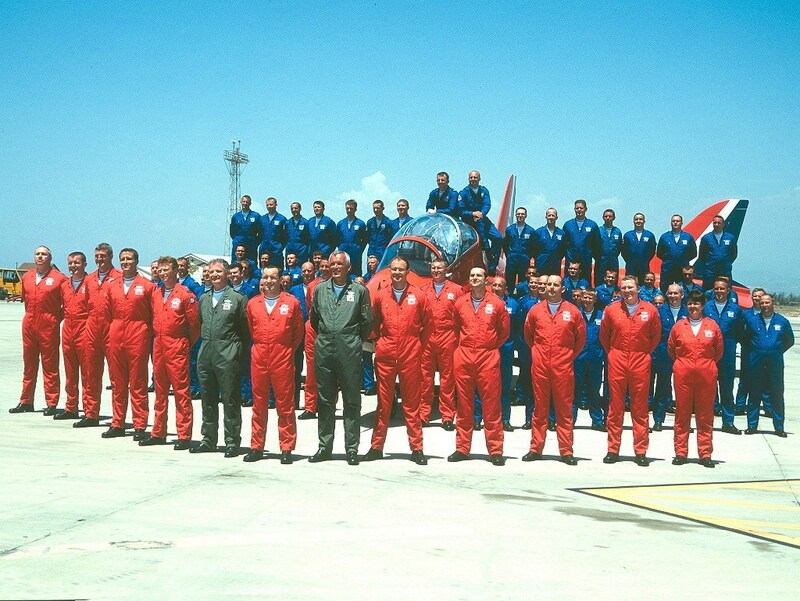 There are many styles and colors of flight suits. Likewise, they vary in price from expensive, new, custom Aramid suits to cheap, used, torn, faded and basically unserviceable surplus items. On the high end, Flightsuits LTD., of Chula Vista, CA offers virtually every type of flight suit, jacket, helmet and glove worn these days. They can set you up with many styles, options, colors. As far as sizes, they can make up a custom suit if you are a hard to fit type. I hear that they will also pick you up if you fly into nearby Gillespie Field(KSEE). For the more cost-conscious, UsedFlightsuit.com offers what seems to be a good selection of new and used military flight suits. They also seem to be knowledgeable and up front about used suit condition. On the lower end, you can do well with a flight suit search on (where else?) Ebay. New military suits can be found for $25 to $50, with well-worn items going for even less. 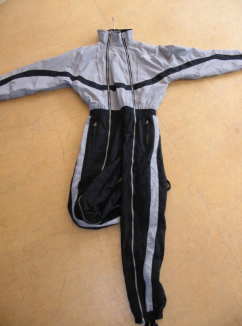 A note on searching for flight suits on Ebay: sometimes suits are listed as "Flightsuits", all one word. There are also a lot of items listed generically under Nomex, so vary the search a bit. A new item that is slowly getting into the public's hands is the Aircrew Battle Dress Uniform, or Aircrew BDUs. These are a two-piece affair in desert tan, that are being issued to Army flight crews now deployed overseas. One, or a part of one, of these gives you both the utility and protection of a professional suit, but allows the flexibility of shirt and trousers. If all of this is still more than you want to be seen wearing, I'd like to suggest the Royal Robbins 5.11 clothing. These are great looking and the extra velcro tabbed pockets give you excellent comfort and utility. Check out the Polo shirts with the cool pen pocket in the sleeve. I hope this series has been helpful on what flight suits do, what to get and where to get them. Feel free to make any comments! As I stated in part 1, I like seeing GA pilots in appropriate and sharp flight suits. It conveys a certain pride, esprit de corps, and professionalism. But like anything else in flying, this too can be screwed up righteously. As my last flight student, Andy Somers says, "[You can look like] a real Space Cadet from the Planet Popsicle-Head." As much as you are able, stay away from the Sage Green, CWU-27/P flight suit. This is the current U.S. military issue Aramid blend uniform. While they are tempting due to their low price and wide availability, I have yet to see one on a civilian that looks decent. At best, they look odd; at worst, disrespectful. Wear one that fits. If you are unsure of your size, go to your local used or vintage clothing store. Usually they have some raggedy military turn-ins. Try some on and note the size. A too-large suit looks bad, and trust me, you do not want to fly in one that is too small. I love the SR-71. I love the Stealth Fighter. But I've never flown them and never will. If I'm driving a Navion, I'll find some nice Navion patches. 'Nuff said. A great flight outfit can be utterly ruined by a goofy set of sandals or a torn-up pair of tennis shoes. Black or brown "Jump" boots, or black or tan Tactical boots look best, though a coordinated set of some of the newer hiking boots may suffice. Probably the best option: the Belleville Shoe Co. produces a line of military-approved flight boots. Wear an undershirt. White or color-coordinated T-shirts or Polo shirts have been the only options that seem to work. Unfortunately, I think that just about everyone has seen some Yahoo at the airport walking around in flip-flops wearing a dirty, ripped, green DX'ed flight suit, unzipped to the middle of his bare belly. I hope this installment gets you thinking that does it not have to be that way. You can look sharp, proud and professional in a flight suit. In the last part I'll discuss procurement, or what styles are out there, where to purchase, how much flight suits cost, and your other options. Army, Navy, Air Force, Marine and Coast Guard pilots wear them, as do Police, Fire, and Medevac pilots. But should you, as a General Aviation pilot, be wearing one? The short answer is simply, sure, if you want to. I like seeing GA pilots on the ramp in appropriate, good-looking duds. If nothing else, flight suits with all of the pockets are a great help in carrying and organizing all of the items that help us defy gravity. The three considerations that I see in selecting a flight suit are protection, procurement and presentation. There are three levels of protection that a flight suit (or any flight apparel for that matter) may offer: excellent, moderate and "stay away from it at all costs". Military and other high risk flight operations demand that flight crews take all available options to minimize injury or death. The fabric of choice for protection against flash fires is an Aramid blend, generically referred to as Nomex. Contrary to popular belief, Nomex, a trademarked invention of the DuPont company, will burn. When exposed to very high temperatures, the material 'chars' but does not melt or burst into flames. This gives the crewmember a good chance of avoiding life-threatening burns when exposed to a short, high temperature fire. Natural materials such as cotton, wool and leather offer moderate protection from flame. These materials will burn but will not melt, and often can be quickly extinguished. The worst option (for flight) is Nylon. It is commonly used in surplus and new manufacture MA-1 and nylon CWU-36/P or CWU-45/P knock-off jackets. These jackets (or a nylon flight suit, Lord help you) have a low flash point and burn intensely, but not before melting to your skin. In an inconsequential fire you might as well be wearing an avgas-soaked tuxedo. Part 2 will deal with Presentation, or what to get and the "Do's and Don'ts" with your flight suit. In Part 3 I'll discuss Procurement, or where to purchase and how much flight suits are costing these days.